There are a couple great features of this quadrant of the city, with the Mill Woods Recreation Centre, Mill Woods Golf Course, and other sports and recreation facilities. Shopping can also be found around Southeast Edmonton condos at South Edmonton Common. This is a sprawling open air retail development that features brand name shops, and a variety of eateries and restaurants, tap houses, theatres and more. See southeast Edmonton condos or read more about the varieties and budgets! 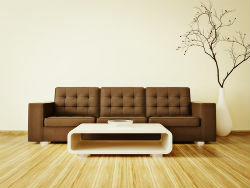 We can provide you with custom tools for seeking out the perfect fit with Southeast Edmonton condos. When you register on our site for free you'll be able to narrow down the hunt to only the properties that match your specific interests and needs. Find your next dream home today! For those seeking to buy real estate on a budget, there's ideal options here. You'll find a number of low to mid-price options with walkable amenities and modern features. Affordable condos for sale can showcase dark granite counter tops, spacious rooms, in-suite laundry and parking stalls. Southeast condos for sale in Edmonton also showcase townhomes with high ceilings, fireplaces, jetted tubs, and contemporary fixtures. High-rise condos in the higher end price range boast city views, heated parking stalls, stainless steel appliances, maple kitchens, and more. Residents have all types of activities right out the door of Southeast Edmonton condos. 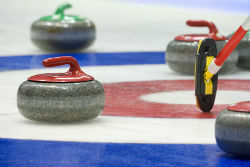 Rugby players will enjoy the opportunities at the Ivor Dent Sports Park, and the Ellerslie Curling Club features competitive and recreational leagues for men and women, seniors and kids. The Mill Woods Golf Course offers 18 holes, a driving range, pro shop, lessons, clubhouse and a number of different tournaments throughout the season. Next to the golf course is the Jackie Parker Recreation Area with a colourful kids splash pad. Argyll Park, further north, offers even more outdoor activities for locals like bike and walking trails, baseball diamonds. Are you a first time homebuyer and looking into your options with Southeast Edmonton condos? Let us know. We'll match you with an agent near you can help you find the right neighbourhood. Email us or give us a call at: 780.486.8655.